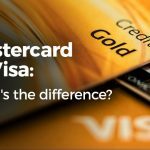 It is rare nowadays to imagine a world without a bank debit or credit card. You rely on having a payment mechanism whether it be for shopping online, in store or over the phone. An icount current account with prepaid MasterCard® is a great alternative and works very much like a traditional bank account, giving you the functionality to make these vital purchases. 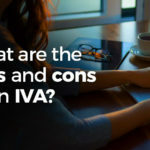 You’re 100% guaranteed to be accepted* (no credit checks are done, but your identification must be verified) and can benefit from loading your salary/benefits as well as cash at 13,000 locations across the UK. By having your own account number and sort code (which is generated straight away) you can set up standing orders and receive as well as make payments in addition to direct debits. Why wait? You are more or less approved for our icount! Being prepaid, you can only spend what is in your account with no worries of becoming overdrawn. Accepted worldwide wherever you see the MasterCard Acceptance Mark, icount gives you financial inclusion. Those that select our Pay Monthly tariff can also add Creditbuilder™ to their account*. This could improve your credit rating. All you need to do is select the option in your Members Area and ensure you pay the £9.95 monthly fee. Once you have successfully repaid the first 3 months, we will from then report to the credit reference agencies! 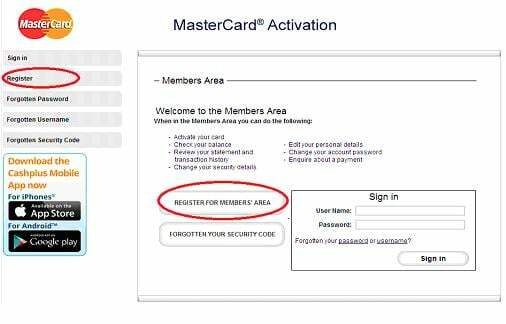 Follow our step by step guide how to activate your icount prepaid MasterCard. 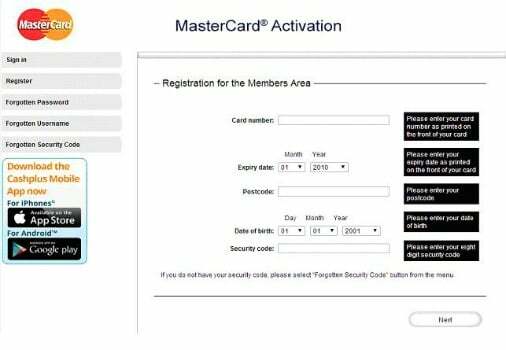 Alternatively, view our video how to activate your card. 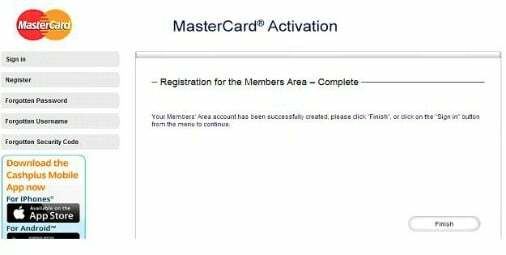 You are now registered but need to complete one more step to Activate your card! 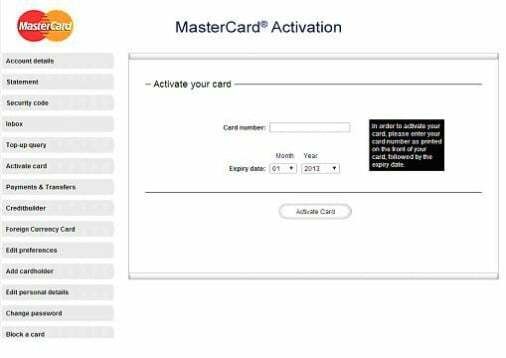 See the option on the left of the screen which says “Activate Card” and input your card details (beginning 5404) and then you are activated! Select option 2 to get your PIN number and enter your Security code (the one set up when you applied). You are given 2 options here… Select option 1 to get your code sent by SMS to the mobile number we have on record for you or option 2. If option 2, the PIN will be sent via post which will arrive in a few days. Applying for an icount current account with prepaid MasterCard® is quick and easy. Simply select the tariff that best suits you, input your details in to the 3 stage application and, subject to terms, you will receive your own account number and sort code instantly and personalised icount card within 3-5 working days. If for whatever reason we cannot verify you, we will let you know what you need to do. Check out the fees associated with icount. Updated on 2015-08-15T18:17:16+00:00, by Paul Gailey.